Eyelid Lift & Forehead Lift - Henderson, NV | Dr. Minoli John J. Minoli M.D., F.A.C.S. UPPER FACIAL REJUVENATION MAY ENGAGE THE EYELIDS…OR FOREHEAD…OR BOTH. STRIKING A BALANCE IS THE KEY. The eyes have it. When you notice a person, you usually notice their eyes. Some say it is a window into the soul. Isn’t it the eyes we speak of when we refer to a tired or bright appearance? Aesthetic surgery of the upper face deals in the orbital realm. Techniques include eyelid lifting (blepharoplasty) and forehead lifting (browlifting). 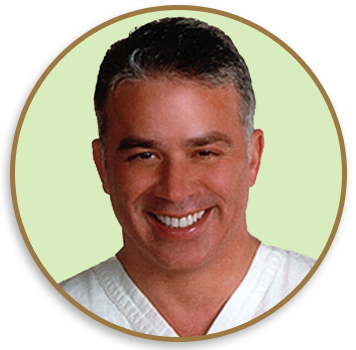 Dr. Minoli uses a variety of techniques to rejuvenate the upper third of the face. Of course, each person is treated according to individual need. Some people exhibit aging early on: They may have inherited traits that manifest as early as their 20s: Such people may well be candidates for non-surgical facial injections or liquid facelifting (e.g., injectable Botox, fillers & filler-stimulants). Others with weary-looking eyelids may benefit from a surgical eyelid lift (blepharoplasty). Still others with a heavy brow & dimmed peripheral vision may need direct treatment of the forehead (brow lift); or they may even require a combination of eyelid lifting (blepharoplasty) and browlifting. Dr. John Minoli offers you years of trusted experience and a range of procedures to enhance the appearance of your eyes and the upper third of your face. 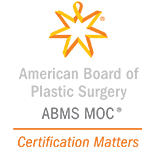 He is multi-board-certified in aesthetic surgery – with particular expertise in the face; and for decades he has treated thousands of patients, not only in Las Vegas but also in several other regions of the United States. As modern medicine offers safer operative & non-surgical techniques for rejuvenation of the eyelids, brow & face, Dr. Minoli continues to adapt his practice accordingly through extensive continued surgical education and experience. A personal consultation with Dr. Minoli may help you further appreciate if eyelid or upper facial surgery is right for you. For your comfort & safety general anesthesia is administered by a board-certified anesthesiologist when necessary, and Dr. Minoli performs these procedures at an accredited ambulatory surgery center nearby. Of course, certain patients are candidates for eyelid lifting (blepharoplasty) surgery or forehead lifting (brow lifting) surgery under local anesthesia in our office. In any event, appropriate prescription medications are provided for preoperative & postoperative home use (e.g., antibiotics, muscle relaxants & pain killers). Eyelid lifting (blepharoplasty) surgery is designed to improve the appearance of the upper and/or lower eyelids. 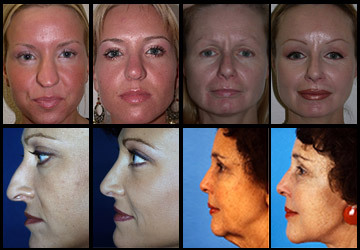 The overall effect is a more rested & youthful appearance as fine lines, wrinkles, excess eyelid skin, muscle & fatty deposits are re-positioned or eradicated … and fine sutures are placed to approximate small, camouflaged, nearly imperceptible incisions as shown in the illustrations below. General anesthesia is sometimes required. That said, many eyelid procedures involving the upper eyelids can be accomplished under local anesthesia in an office setting. During upper eyelid lifting (blepharoplasty) surgery an incision is made in an inconspicuous site along the natural crease ~1 cm. above the upper eyelid lash margin (the supratarsal crease). To secure the repair, a fine slip stitch is woven just underneath the surface of the upper lid skin: That stitch is generally removed within a week. During lower eyelid lifting (blepharoplasty) surgery an incision is made in an inconspicuous site along the lash line. Fine silk sutures are used to close this incision. The resulting scars are generally imperceptible. Under typical circumstances eyelid lifting (blepharoplasty) surgery is accomplished in 2 hours or less. It can be performed in an office setting (local anesthesia) or an operating room setting (deeper anesthesia under the care of a board-certified anesthesiologist). A forehead lift (browlift) can help refresh & rejuvenate the appearance of the entire upper third of the face. Different surgical approaches have been designed. Each approach accomplishes soft-tissue re-suspension of the brow and forehead … and sometimes direct interruption of strong frown muscles. Properly-performed forehead lifting (browlifting) surgery adds so much to the rejuvenation of a heavy-hooded forehead. Incisions can be placed as low as the natural brow-hair level itself (direct browlift) or as high as a position well-behind the natural hairline (coronal browlift) … and to make matters even more interesting, incisions can be made between the two extremes – namely: low within the depths of notable horizontal midbrow creases if you have them (midbrow lift), or higher within the natural hairline itself (pre-tricheal lift). Furthermore, a series of smaller incisions can be made in combination with each other (at or behind the hairline itself) to allow access for small telescopes; and in such a manner an endoscopic forehead lift (browlift) can be performed through even more limited incisions. Once the selected incisions are made, the entire forehead & brow skin can be loosened from underlying attachments and re-draped. During the process, strong forehead muscles which normally cause brow creases (frown lines) can be manipulated. Incisions are expertly sutured for a meticulous final closure. Under normal circumstances forehead lifting (browlift) surgery is accomplished in less than 2 hours. It can be performed in an office setting (local anesthesia) or an operating room setting (deeper anesthesia under the care of a board-certified anesthesiologist). A forehead lift (browlift) is often performed in conjunction with facelifting surgery (and at times, even eyelid lifting [blepharoplasty] surgery), depending on the individual features of a specific patient. While surgical options are an excellent tool, it is important to remember that non-surgical choices exist too – most notably, non-surgical injectable neuromodulators such as BOTOX® Cosmetic can be used to treat the upper face. What are the average global costs & recovery time? Eyelid surgery average global cost range: $2,800.00 – $ 4,500.00. Eyelid surgery average recovery time: 1 week. 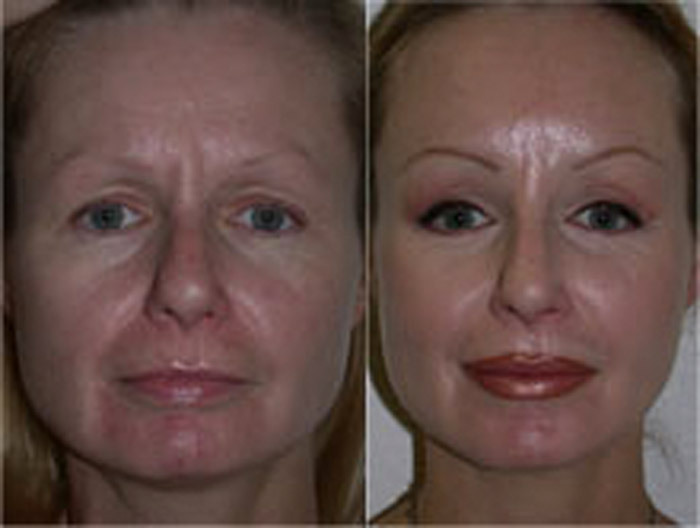 Browlift surgery average global cost range: $3,900.00 – $7,000.00. Browlift surgery average recovery time: 1-2 weeks. Are you a good candidate for eyelid lifting (blepharoplasty) surgery? Your consultation likely will include a discussion about your overall goals. What do you wish to achieve through eyelid lifting (blepharoplasty) and/or forehead lifting (browlifting) surgery? You should come to the consultation prepared to discuss your medical history – including any conditions you may have such as diabetes, high blood pressure or heart disease. 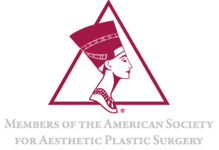 Dr. Minoli will want to know about your current medications and your previous surgeries & medical treatments. If you plan to become pregnant or change weight in the future, you should discuss this with Dr. Minoli. Complete information is important for proper decision-making. You will be asked if you had prior surgery of the face, brow, eyelids or neck. What techniques are used to perform eyelid lifting surgery? RIGHT ILLUSTRATION: Before surgery, incision sites are marked to follow the natural lines and creases of the upper & lower eyelids. CENTRAL ILLUSTRATION: Underlying fat, as well as excess skin and muscle, can be removed during eyelid lifting (blepharoplasty) surgery. LEFT ILLUSTRATION: The incisions are closed with fine sutures, which leave nearly imperceptible scars. How is eyelid lifting (blepharoplasty) surgery performed? Eyelid lifting (blepharoplasty) surgery is performed under either local anesthesia or some form of deeper anesthesia, including general anesthesia, depending on individual characteristics. There are different variations of the procedure: Incisions can be placed in different positions, premised on unique features relating to skin, fat, soft-tissue inelasticity, and eyelid suspension. At any rate, said incisions allow for a re-draping of eyelid tissues as fine lines, wrinkles, excess eyelid skin, muscle & fatty deposits are re-positioned or eradicated … and fine sutures are often placed to approximate small, camouflaged, nearly imperceptible incisions. During upper eyelid lifting (blepharoplasty) surgery, an incision is made in an inconspicuous site along the natural crease ~1 cm. above the upper eyelid lash margin (the supratarsal crease). To secure the repair, a slip stitch is woven just underneath the surface of the upper lid skin: That stitch is generally removed within a week. During lower eyelid lifting (blepharoplasty) surgery, an incision is made in an inconspicuous site along the lash line. Fine silk sutures are used to close this incision. The resulting scar is generally imperceptible. During lower eyelid lifting (blepharoplasty) surgery via a transconjunctival approach, an incision is made along the inside-conjunctiva of the lower eyelid so as to avoid any external incision. What are some variations to the eyelid lifting (blepharoplasty) technique? There are several variations to eyelid lifting (blepharoplasty) surgery, premised on unique features relating to skin, fat, soft-tissue inelasticity, and eyelid suspension: Dr. Minoli chooses amongst different incisional approaches based upon these features: For example, during lower eyelid lifting (blepharoplasty) surgery an incision may be made in an inconspicuous site along the lash line. However, if a patient’s skin is relatively tight, but the lower eyelids appear baggy due to loose fat, an internal approach can be used, thus avoiding any external incision: This is known as a transconjunctival blepharoplasty approach when an incision (or a series of incisions) is made along the inside-conjunctiva of the lower eyelid. Dr. Minoli will discuss the particular methods that may be right for reshaping your eyelids. These considerations are based on individual factors and upon realistic goals that you and he set. A small incision (or a series of tiny incisions) is made inside the lower eyelid, and fat is removed. No skin is removed. The incision(s) may or may not be closed depending on the case. What techniques are used to perform forehead/brow lifting surgery? RIGHT ILLUSTRATION: A forehead lift corrects the sagging, low position of the eyebrows; softens creases across the forehead; smooths frown lines & furrows between the eyebrows; and ameliorates creviced wrinkles across the top of the nose. LEFT ILLUSTRATION: The result is lasting and refreshing. How is forehead lifting (brow lifting) surgery performed? Forehead lifting (brow lifting) surgery is typically performed under general anesthesia, although some types of forehead lifting (brow lifting) surgery that can be done under local anesthesia. There are different variations of forehead lifting (brow lifting) surgery, but common to every type is the concept of soft-tissue resuspension at a somewhat higher level. Incisions can be placed in a variety of positions, premised on unique features relating to skin, fat, soft-tissue inelasticity, and eyelid suspension. At any rate, said incisions allow for forehead skin & underlying soft tissues to be loosened from surrounding attachments so that the forehead (brow) can be re-draped. Certain bothersome frown muscles are often manipulated during the procedure. These specific muscles cause brow creases by their strong pulling action on the undersurface of the skin; so the surgical interruption of these muscles can help to soften the appearance of a knitted or angry brow. What are some variations to the forehead lifting (browlifting) technique? 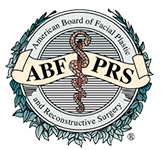 There are several variations to forehead lifting (browlifting) surgery, primarily distinguished by the location of the incision… and premised on unique features relating to skin, fat, soft-tissue inelasticity, and eyelid suspension. Dr. Minoli typically choses amongst 3 specific approaches based upon these features: an endoscopic browlift (series of small incisions at the natural hairline or behind it); a pretricheal browlift (at the hairline); and a coronal browlift (well behind the natural hairline). Dr. Minoli will discuss the particular methods that may be right for reshaping your forehead (brow). These considerations are based on individual factors and upon realistic goals that you and he set. Are you a good candidate for forehead/brow lifting surgery? Will your insurance help cover the cost of eyelid lifting (blepharoplasty) and/or forehead lifting (browlifting) surgery? Eyelid lifting (blepharoplasty) and/or forehead lifting (browlifting) surgery is typically a cosmetic procedure and, as such, is not covered by most insurance companies. However, under certain circumstances, insurance coverage may be available. For example, if a patient has heaviness of the upper eyelids which directly blocks peripheral vision an eyelid lifting (blepharoplasty) surgery – and probably to a lesser extent a forehead lifting (browlifting) surgery – may be be needed. Many factors determine your eligibility for coverage, including the specific terms of your insurance policy. A letter of predetermination may be required by your insurance company prior to surgery. Dr. Minoli & his staff will discuss these matters with you. 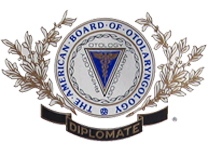 Of note, eyelid lifting (blepharoplasty) and/or forehead lifting (browlifting) surgery as relates to this practice does not encompass the breadth of ocular & & eyelid diseases that are more typically cared for by a standard ophthalmologist (eye doctor). What are the risks of eyelid lifting (blepharoplasty) and/or forehead lifting (browlifting) surgery? The subject of risks and potential complications of surgery is best discussed on a personal basis between you and Dr. Minoli & his staff. Fortunately, significant complications from eyelid lifting (blepharoplasty) and/or forehead lifting (browlifting) surgery are uncommon – this takes into consideration thousands of procedures worldwide. As benefits are considered, so too are specific risks: These include the possiblity of bleeding, infection, bruising, prolonged discoloration, swelling, numbness, reactions to anesthesia, painful or unattractive scarring, contour irregularities, fluid collections, tissue loss, visual impairment, dry eyes, ectropion (lower eyelids), entropion (lower eyelids), lagophthalmos (upper eylids), scleral show (lower eyelids), speech impediment, oral incompetnce, need for further surgery, and unsatisfactory overall results. Following surgery, the body produces a serum-fluid under the forehead or brow skin. In rare cases it can accumlate to such a degree that it needs to be removed. This process is a fairly simple office procedure involving aspiration with a needle & syringe; but the condition may require more than one postoperative visit. Tissue loss can occur along the edges of the wound. This condition can delay healing & recovery. Of course, the condition occurs more commonly in diabetics and smokers, so these circumstances need special considerations. Minor irregularities can sometimes arise (e.g., in certain instances when incisions have not healed in an ideal way), but office-based postoperative treatments are usually available to help minimize these problems if they occur. You can help to lessen certain risks by following the professional advice given by Dr. Minoli and his staff. 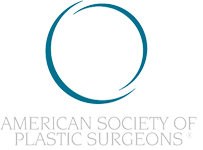 How should you prepare for eyelid lifting (blepharoplasty) and/or forehead lifting (browlifting) surgery? If you are a smoker, you will be asked to stop smoking well in advance of surgery. Aspirin, certain anti-inflammatory drugs, and an array of supplments (e.g., fish oil, flaxseed oil, garlic supplements, green tea & Vitamin E) can cause increased bleeding, so you should avoid taking these medications & supplements well in advance of surgery. Eyelid lifting (blepharoplasty) and/or forehead lifting (browlifting) surgery is usually performed on an outpatient basis. Some patients are even candidates for eyelid lifting (blepharoplasty) surgery or forehead lifting (brow lifting) surgery under local anesthesia in our office. When surgery is performed on an outpatient basis, a patient would need a ride home after surgery and a companion at home that first postoperative night. Your eyelid lifting (blepharoplasty) and/or forehead lifting (browlifting) surgery may be performed in a free-standing ambulatory facility, although some patients are even candidates for eyelid lifting (blepharoplasty) surgery or forehead lifting (brow lifting) surgery under local anesthesia in our office. Medications are administered for your comfort during the surgical procedure. Dr. Minoli (and your anesthesiologist if such is the case) will dertermine with you the type of anesthesia to be used – local anesthetic injections, intravenous sedation and/or general anesthesia. For your safety during the operation, various monitors may be used to check your blood pressure, pulse, and circulating oxygen. You will be returning to Dr. Minoli’s office at regular intervals so that your postoperative progress can be properly evaluated. During the first few postoperative days your face may be tender, but this usually subsides later in the 1st week or so. In the early stages of recovery (the first 2 or 3 days especially) you may need personal assistance if you have had forehead lifting (browlifting) surgery – perhaps even for meals and bathroom visits. This is one of the reasons that overnight nursing care is so helpful just following surgery. Washings must be done in a gentle manner during this early period; and in fact, specific instructions are given to each patient. In some instances, a small temporary drain tube may be placed along the forehead under the bandages. This drain can help prevent the accumulation of postsurgical fluids in the brow: This drain is usually removed the first day after surgery; but a full shower or bath is not permissible until the drain is gone. The day after surgery, you will be encouraged to get out of bed for short walks to promote blood circulation. Straining, bending and lifting must be avoided, since these activities may cause increased swelling or even bleeding. You may be instucted to sleep on your back with a pillow under your knees. As the 1st postoperative week progresses so does one’s sense of independence. External sutures are usually removed in about 7 to 10 days. Drains and their associated sutures are typically removed within the 1st week. Bruising and swelling, common during the first few postoperative days, subside during the 2nd week. By the 2nd week driving privileges will likely resume. After eyelid lifting (blepharoplasty) and/or forehead lifting (browlifting) surgery, when will you resume normal activities? It is important to realize that the amount of time it takes for recovery varies greatly among individuals. Straining, bending and lifting should be avoided during the early postoperative period. Depending on the extent of your eyelid lifting (blepharoplasty) and/or forehead lifting (browlifting) surgery … and your general physical condition … you may be able to return to non-strenuous work anywhere from 1 to 2 weeks after surgery. Any sexual activity should be avoided for a minimum of 2 weeks. And vigorous activities should be restricted for at least 2 weeks. In many instances, you can resume most of your normal activities, including some form form of mild exercise, after a few weeks. You may continue to experience mild periodic discomfort and swelling during this time, but such feelings are normal. Severe pain should be reported. In general, the timing of your recovery depends largely on the extrent of your surgery and your individual healing capacity. After eyelid lifting (blepharoplasty) and/or forehead lifting (browlifting) surgery, how will you look initially? Bruising & swelling, common during the 1st week, begin to subside noticeably during the 2nd week. In a broader sense: It takes about 6 weeks after surgery to pass social scrutiny … & 6 months or more before residual lumps & bumps soften & dissipate. Incisions will initially be red or pink in color: They will remain this way for many months following surgery – and may even appear to worsen before they fade. There may also be numbness in some areas, it may take months before feeling returns. Of course, Dr. Minoli will help guide you through these milestones. You should be up and gently about during the first few days following surgery; but without strain. Your dressings will be removed in the days following surgery so that Dr. Minoli can examine the treated areas. He will probably suggest that you shower starting on the 3rd postoperative day. Stitches will be removed in 5 to 10 days, depending on their nature. If present, drains and their associated sutures are typically removed within the 1st week. It is important to realize that recovery time varies greatly among individuals. Please remember that the relationship with our staff does not end when you leave the operating room. If you have any questions or concerns during your recovery, or need additional information at a later time, please contact us. What are the results of eyelid lifting (blepharoplasty) and/or forehead lifting (browlifting) surgery like, and how long do the results last? When healing is accomplished, eyelid lifting (blepharoplasty) and/or forehead lifting (browlifting) surgery will have enhanced and refreshed the appearance of your face. It may take some time to adjust to your new facial image, but you are likely to feel a boost in self-confidence as you progress in your healing. Still, it is important to remember that various healing factors may prolong the final result. Fluid retention and prolonged swelling are typical in the months following surgery. The healing process is gradual, so you should expect to wait a while before fully enjoying the outcome. Nevertheless, the results of your surgery should be long-lasting. Scars will fade over time; but no matter what, incisions create scars – and scars are permanent. Most incisions heal nicely; but some scars are more noticable. Fortunately, eyelid lifting (blepharoplasty) and/or forehead lifting (browlifting) surgery scars are usually concealed by natural facial creases. Occasionally, a touch-up revision may be desired to further improve a contour or a scar. The additional treatment can usually be performed under local anesthesia in Dr. Minoli’s office.